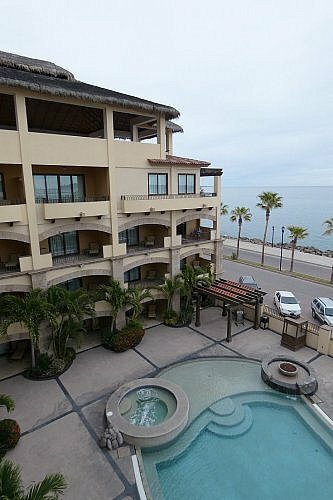 The city of Loreto is halfway up the Baja Peninsula, on the Sea of Cortez side. It’s a long and skinny community stretching along a bay with beaches, so where you stay will have a big impact on your experience. 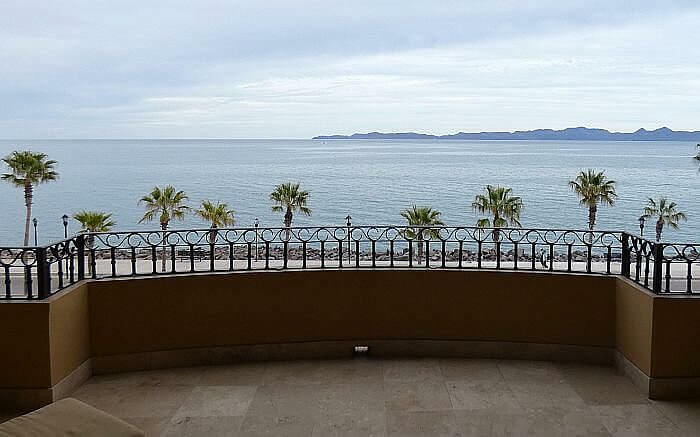 If you want to be walking distance to everything in the center, one of the best bets is La Mision Hotel, where you get a terrific view of the water from many of the public areas—and maybe your room. We have touched on a few other Loreto hotels and resorts before. 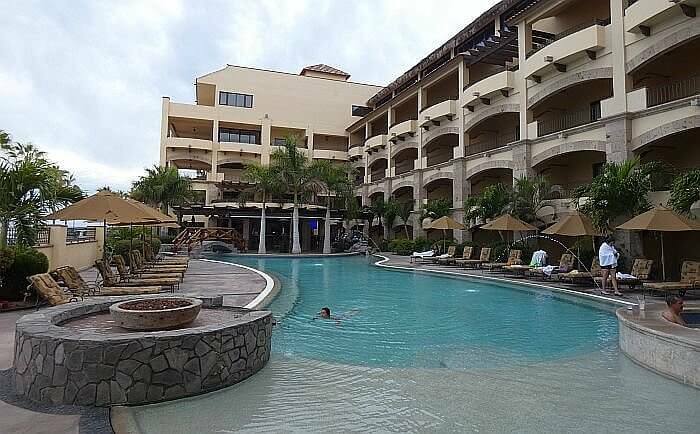 Way back in 2013, Nancy Brown reviewed the most luxurious resort in the area, Villa del Palmar. This is a great spot for adventures or golf, but it’s way out of town in its own little enclave. Getting to the historic center is going to take you 15-20 minutes by car or taxi. Then in 2015 I stayed at Loreto Bay Resort on my first trip to the area. It’s a fine beachfront resort where I saw humpback whales swimming by, but although it is closer, it’s still far from the action, in a master planned community. This time I was coming off a three-day camping trip with Sea Kayak Adventures where we were on the beach of a barrier island on Magdalena Bay. We were on the Pacific side of Baja watching mommy and baby gray whales swimming around us. After two nights in a tent, then a drive over the mountains to Loreto, we were ready for a real bed and shower. La Mision Hotel was a welcome sight when we pulled up, with a swimming pool, a bar, and a nice room with comfy beds. You couldn’t really ask for a better location than this one for a mix of sea and history. Our room looked right out at the water and the swimming pool below. It was a block to a convenience store and five more minutes got us to a couple dozen restaurants, bars, and coffee shops. You can stroll the historic center with its manicured tree canopy and Spanish colonial buildings a few blocks from the hotel. The only time we took a cab was to get to the bus station with our luggage to head south. You don’t have to leave the hotel to eat or drink, however, if you want to stay put. There’s a full restaurant on site serving breakfast and dinner, with a great second-floor view of the water and Coronado Island through a wall of glass. 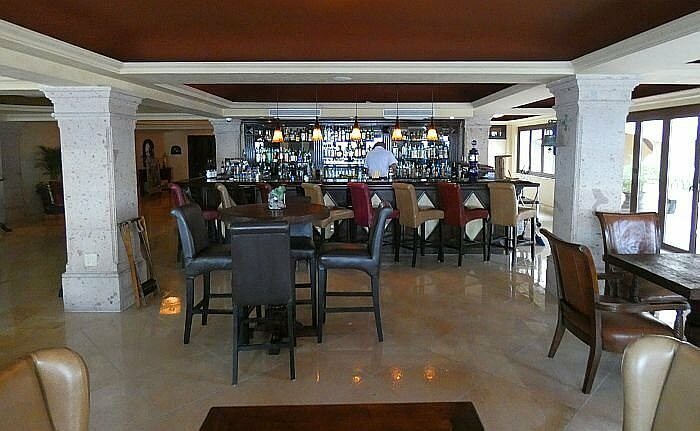 There’s one bar here, plus another Mezquite Bar & Grill poolside with a wood-fired pizza oven. They serve lunch and it’s a great place to spend the afternoon between pool dips or whirlpool soaks. Bars have local craft beer on tap, plenty of tequila options, and a selection of Baja wines. Besides the awesome panoramic view, our room came with marble floors, plenty of space to move around, and crisp air conditioning. The TV got a few English channels and the mini fridge was a welcome touch. The lowest category deluxe rooms face either the mountains or the water, but it doesn’t cost much to upgrade to a suite. Some of them have two bedrooms even. See all the options here. Baths are large, with travertine and granite, and most have two sinks. The steaming hot shower with good water pressure lived up to our hopes after three days of camping. The internet access, unfortunately, was a different story. It’s included, but it didn’t work at all while we were there. The front desk said they were waiting on the service person to fix it, but another guest who had been there four days earlier said it was the same story then. Otherwise, the staffers were helpful and friendly, with good English proficiency in this expat-heavy town where most guests are foreign adventure tour participants. There’s a full spa on site with reasonable rates for a Baja resort. The concierge can set up all kinds of excursions, from visits to mission churches and an oasis to adventure activities like whale watching, kayaking, and fishing. Rates run $125 to $300 double before taxes, sometimes including breakfast. See more information at the official hotel site and check prices there or at Hotels.com. 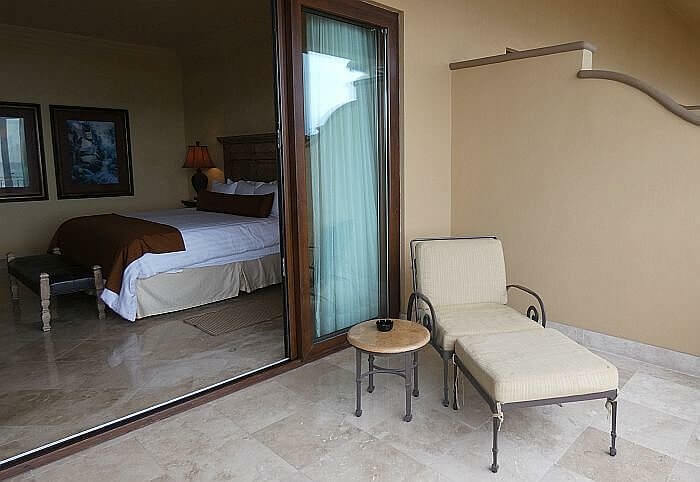 Editor Tim Leffel had his room included on an organized Baja Peninsula tour in Mexico with Sea Kayak Adventures while researching a travel feature story for another publication.